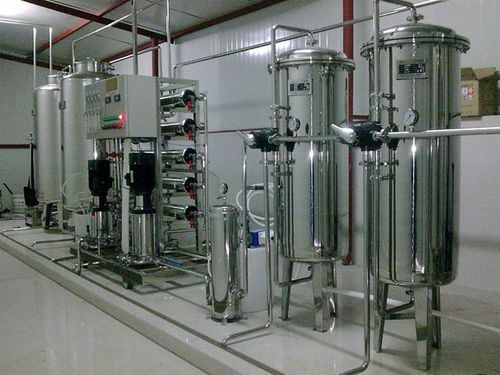 We are offering a wide range of Commercial Reverse Osmosis Plant for Beverage Industries. We use of high-quality reverse osmosis membrane elements that ensure flawless operation. We always believe in manufacturing excellent quality Reverse Osmosis Plants with no compromise on quality and at most affordable rates. Known for manufacturing, trading and supplying a wide range of the best quality of Water Treatment Plants, an ISO 9001:2008 certified Shubham Water Solution Pvt. Ltd. started its operation in the year 2010. The product range offered by us is inclusive of Reverse Osmosis Plants, RO Systems and Water Chilling Plants. Their rich attributes such as optimum functionality, easy installation, low maintenance, easy operations and longer serving life, make these plants highly demanded in various commercial, household and industrial water purifications and treatments purposes. We have been able to cater to the precise needs of our valuable customers, owing to our ultra-modern machinery and skilled professionals. Our infrastructure is well-equipped with all the machinery and amenities required for carrying out large scale and standardized production. For manufacturing the offered water treatment plants as per the international quality standards, our engineers and support staff make use of sophisticated machinery and quality assured materials.